You are here: Home / Ask an Expert / Ask An Expert: How Can I Effectively Use PPC As Part of My Online Marketing Strategy? 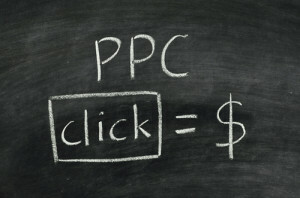 Ask An Expert: How Can I Effectively Use PPC As Part of My Online Marketing Strategy? The truth is each of these tactics can be effective for a business. Used together as part of a holistic online marketing strategy, they complement one another and become an incredibly powerful weapon in your marketing arsenal. 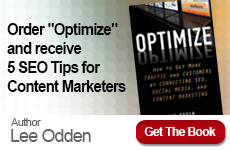 Directing potential buyers to pages optimized for their search query deep within the site. Once a potential customer clicks on ad, smart marketers will have them sign up for an email newsletter or follow the brand on a social account. The first interaction was paid; maximize that investment with an opportunity to connect on an ongoing basis and build a relationship. The key to successful PPC advertising is in getting the right message in front of the right people, at the right time. Use targeting options such as geography, device (mobile, tablet, desktop), operating system, location, language and more. Create a profile of the ideal person you will reach with your PPC ad campaign. Write ad copy that will appeal to that particular person and direct people to a page on your website that answers the need that caused them to click on your ad. In PPC advertising, you will have campaigns and ad groups to target different users with a variety of ads. A campaign will have a theme; for example, you might choose to run a campaign for your 20% holiday sale. Your ad groups could then each promote a specific product. Finally, you will have several ads targeting each of your “perfect customers” so you can test them against each other and identify which perform best. If you are running ads on both the Search and Display networks, set them up as separate campaigns so you can more effectively measure performance. Write ad copy with the device in mind. People searching from a mobile may use shorter queries and be at the point of purchase. For example, you want it made clear in your ad that the user is being directed to a sales page so you aren’t paying for clicks by people doing research on an item they are about to buy in-store. Use the Advanced Search option in location targeting to drill down to specific cities and states. Try different bidding options; test and analyze carefully to ensure you are not overspending on clicks that are not converting. Begin with “Running all day” in ad scheduling, then use your own data to determine which times of day and days of the week are most effective. Effective PPC advertising is a necessary component in your online marketing strategy and can help you build your following, drive sales and increase your overall marketing ROI. 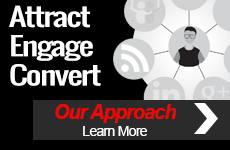 Talk to a TopRank PPC advertising specialist today to learn more about how PPC could help your company have a more profitable 2013!